What are filler words? These are words such as ‘um’, ‘ah’, ‘er’ that are used when delivering a presentation. 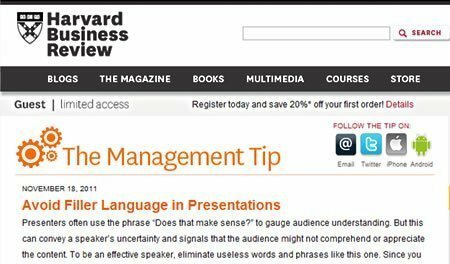 Filler language usually comprises of longer phrases such as “Does that make sense?” as this HBR Mangagement Tip says. 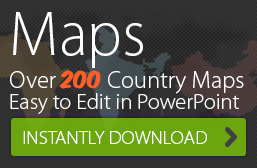 There is a lot that has been said about filler words and language in presentations. They tend to distract the audience. Repeatedly using fillers won’t make the presenter look good.Jerry Weissman in this HBR article explains why you should not use phrases such as “Does that make sense?” or “I’m like…” when presenting. He says that such expressions can depict Uncertainty or Doubt in a presentation. Some suggest that fillers can also ruin delivery. What do you think of filler words? 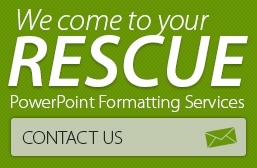 Have you used any technique to help you reduce fillers in your presentations? Tell us in the comments section!